Jayg Dimayacyac is a third year Chemical Engineering student who is working towards a Bachelors' in Applied Science with a minor in Commerce. As president of Envision, he oversees the goals of Envision, as well as its people, hoping to provide them with substantial professional development to launch them into their careers. Jayg has received plenty of achievements through Envision himself, including winning gold with his team at the Regional Chem-E-Car competition, winning silver at the AIChE Regional Paper Competition, and having the opportunity to qualify for the National level in both competitions. Outside of Envision and Chem-E-Car, Jayg has gotten to work under the Co-op program, performing research for the pulp and paper industry. 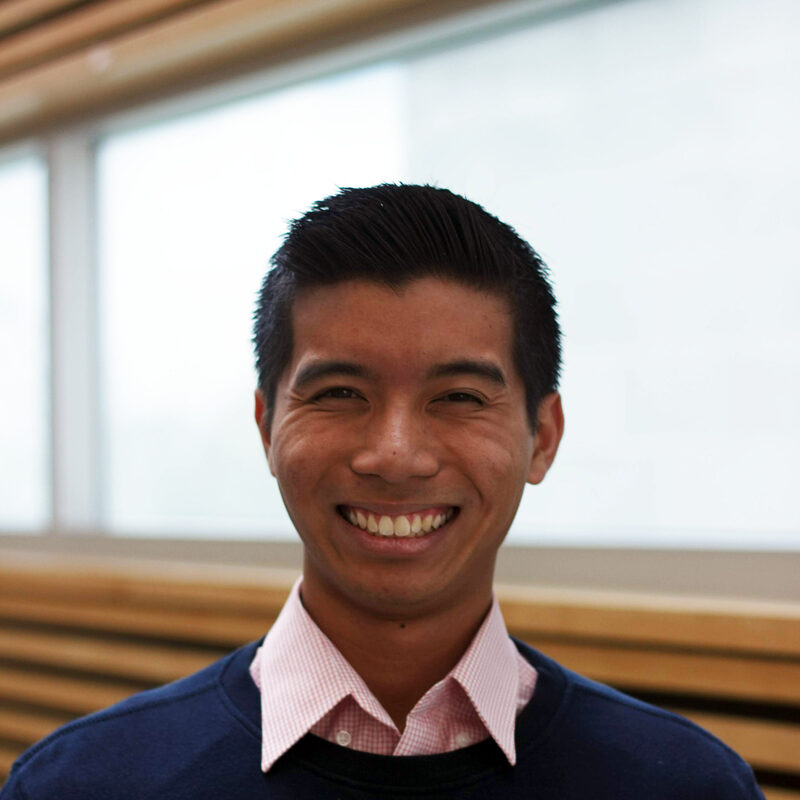 In his spare time, Jayg enjoys singing and writing the a cappella pieces for UBC's competitive a cappella group, which competes annually in the ICCA.